Denver City was founded in November 1858 as a mining town during the Pikes Peak Gold Rush in western Kansas Territory. That summer, a group of gold prospectors from Lawrence, Kansas, arrived and established Montana City on the banks of the South Platte River. 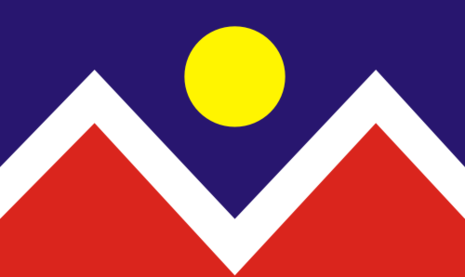 This was the first settlement in what was later to become the city of Denver. The site faded quickly, however, and by the summer of 1859 it was abandoned in favor of Auraria (named after the gold-mining town of Auraria, Georgia), and St. Charles City. The Montana City site is now Grant-Frontier Park and includes mining equipment and a log cabin replica. On November 22, 1858, General William Larimer, a land speculator from eastern Kansas, placed cottonwood logs to stake a claim on the bluff overlooking the confluence of the South Platte River and Cherry Creek, across the creek from the existing mining settlement of Auraria, and on the site of the existing townsite of St. Charles. Larimer named the town site Denver City to curry favor with Kansas Territorial Governor James W. Denver. Larimer hoped that the town's name would help make it the county seat of Arapaho County, but unknown to him Governor Denver had already resigned from office. The location was accessible to existing trails and was across the South Platte River from the site of seasonal encampments of the Cheyenne and Arapaho. 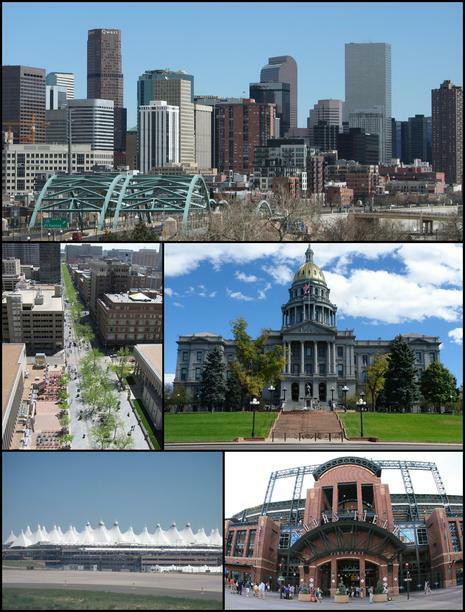 The site of these first towns is now the site of Confluence Park in downtown Denver. Larimer, along with associates in the St. Charles City Land Company, sold parcels in the town to merchants and miners, with the intention of creating a major city that would cater to new emigrants. Denver City was a frontier town, with an economy based on servicing local miners with gambling, saloons, livestock and goods trading. In the early years, land parcels were often traded for grubstakes or gambled away by miners in Auraria. In the summer of 1858, a small group of prospectors from Georgia crossed the great plains of the Colorado Territory and made a region-changing discovery at the base of the Rocky Mountains. Gold. And although not much of the precious metal was found, the mere whisper of the word was enough to start a veritable stampede into the region. After all, the California Gold Rush had occurred just nine years earlier. The discovery of gold in 1858 brought people to the fledgling towns of Denver City, Auraria and other front range mining camps. The inhabitants of the new towns quickly realized the need for some form of government to provide law and order and to protect their rights and property. Just as local governments were established by the towns and camps, the movement began toward a territorial and a subsequent state government.